I believe that if the general public ... had access to the information ... this could spark a domestic debate as to the role of the military and foreign policy in general... I felt I accomplished something that would allow me to have a clear conscience... This was the type of information...[that] should become public. The need to have a public re-evaluation of the role of war in U.S. foreign policy is long passed (the War in Iraq started in 2003, and we've been at war for the 10+ years since). 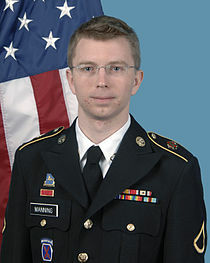 A look through the many documents on WikiLeaks helps explain why the U.S. army and government want to see Manning imprisoned for life. The counter-argument is that citizens have the right to know of the actions taken in their name by their own government. If you're unconvinced, take the time to watch this 30 minute documentary, Subconscious War, which was created with some of the more disturbing footage that Manning released.